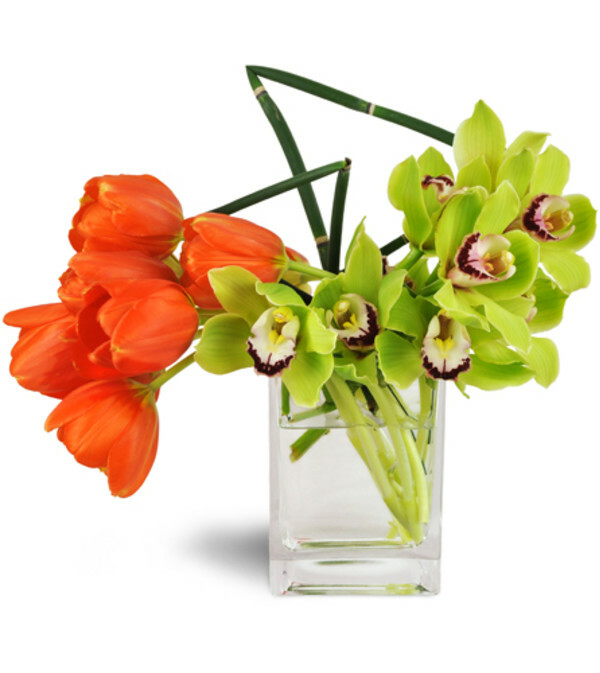 Casually decadent and irreverent, this unique combination of orange tulips and deliciously fragrant Cymbidium orchids brings the sunshine to her wherever she is. 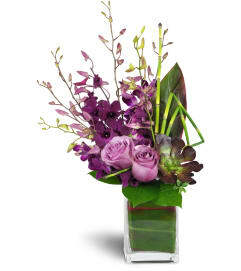 There’s nothing ordinary about her, so why would you give her an ordinary gift? 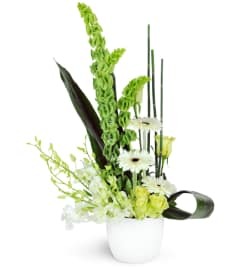 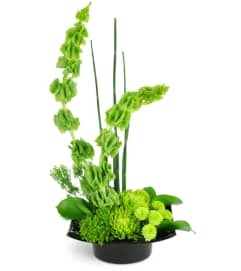 Let these summery blooms with distinctive snake grass triangular sculptures brighten her day and bring the summer indoors! Eight luscious orange tulips dip to one side and distinctive green Cymbidium orchids repose on the other, garnished with unique triangular snake grass sculptures in a medium, clear square vase.